SoulPancake is a website I have just recently discovered. Through the use of the site, users are encouraged to develop thought-provoking content and to explore what it means to be human. It was founded in 2008 by actor Rainn Wilson (of NBC’s The Office) it is an adjunct of Wilson’s book: Soul Pancake: Chew on LIfe’s Big Questions. Today I was inspired to do something creative. Instead of writing a post today, I decided that I would take up one of the activities from the website. 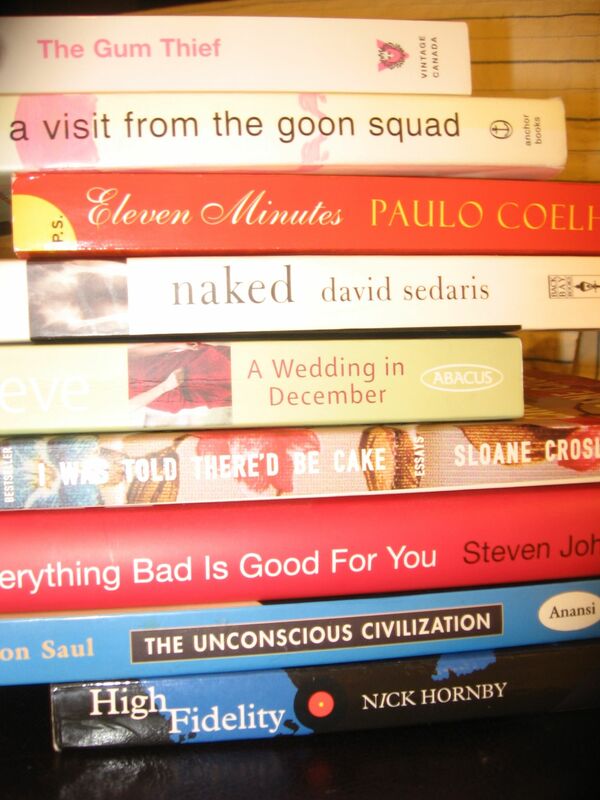 I chose to create a Book Spine Poem: Stack your books in to a poem and post a picture.